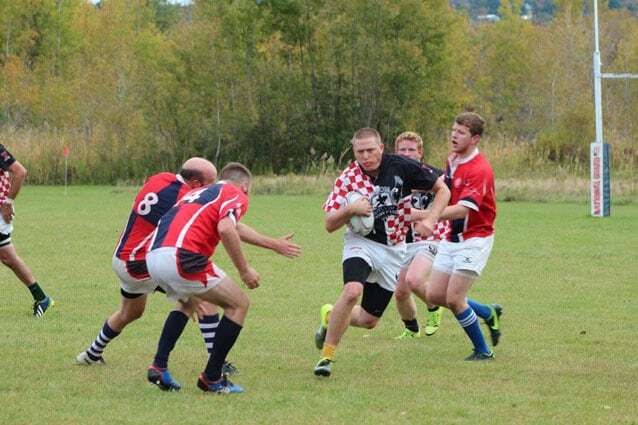 After three weeks of disheartening defeats in New England Rugby Football Union’s fourth division, the Roosters of Rutland Rugby Football Club (RFC) got their first win of the 2015 fall season. In a friendly match that on occasion got passionate and scrappy, Rutland was able to put up a score of 36-13 against Boston Ironsides thanks to try scorers TJ Moran, Tim Stephens, Nate Hickey, Dan Beauregard, Peter “Pepsi” Dayton, and Rick Suhr. Man-of-the-Match honors were awarded to Tim Stephens.